For your purchases you receive free designs! 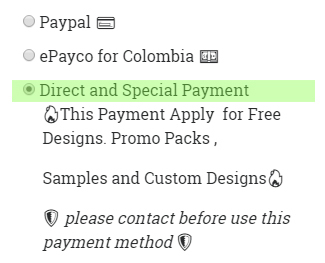 How can i Have the Free Designs? Just add the 6 , 13 , 29, 46 or 70 Designs to your Shopping cart. *Direct and Special Payment (important). After you will receive a Paypal payment request. Just Pay , and Download Your Files!